Take advantage of the current weather to prepare your home for the upcoming season. Changes in the seasons are the perfect times throughout the year to remember your plumping and drain maintenance. As the temperatures continue to cool, now is an especially great time to check your drain systems for repair. The cold temperatures and harsh conditions of winter will only worsen any existing work that needs to be done. Take advantage of the current weather to prepare your home for the upcoming season. There are more days in the fall when plumbing specialists will be able to do work on your home, without having to deal with rain. 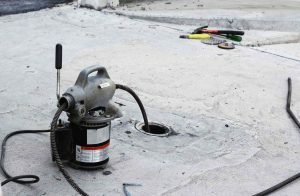 If inspections do reveal that there are repairs that need to be made, the milder temperatures allow the work to be done immediately instead of waiting for inclement weather to pass. In addition, frozen pipes in your drainage system create their own issues. In Fall, most children have returned to school and you are back to operating on a set schedule. This may make it easier for you to set aside time to do inspections and drain maintenance in your home. While your schedule may be busier with afterschool activities and other related errands, it could encourage you to purposefully set aside time to have these necessary repairs made. If you happen to find any leaks in your home’s drainage system, addressing those problems now will save you money in the upcoming months. Fall rain and moisture help to expose these types of issues and the stress that your pipes endure during this season cause them to need repairs to be ready for the harshness of winter. Standing water, bacteria growth, and corrosion are all elements that often have bad smells associated with them. If your home has any water damage, the first sign of its presence is usually a pungent odor. As the holidays are approaching, you want your home to be in its best condition for family and guests. Fall drain maintenance will rid your home from any unwanted smells. This entry was posted on Friday, October 27th, 2017 at 8:31 pm. Both comments and pings are currently closed.